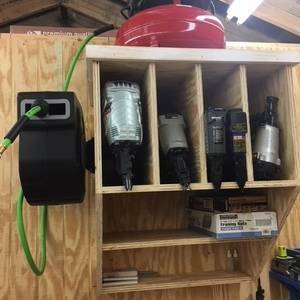 This wall mounted Station holds my nail guns, compressor, nails and staples and retractable hose reel. 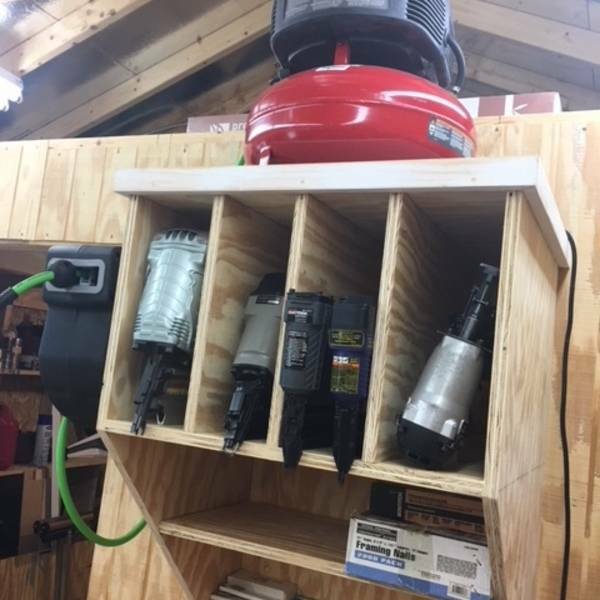 It is 24" wide by 29" high. It was built with a single sheet of plywood and is glued and screwed together. 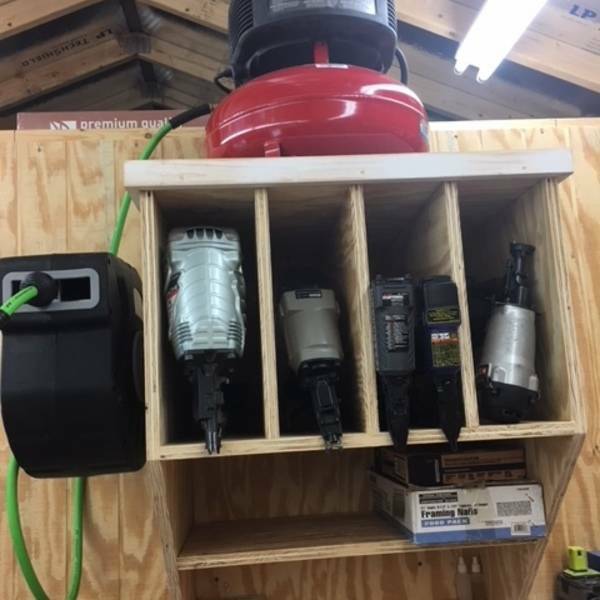 I used my Ryobi saw, drill and impact driver to make this. I got the plan from Pinterest.